Looking for a New BMW Z4 in your area? CarGurus has 371 nationwide BMW Z4 dealers with 1,606 new car listings. After a brief hiatus, the BMW Z series of two-seaters returns for 2019 with an all-new Z4. That BMW returned to this segment at all is largely due to the fact that the German company teamed up with Toyota on the car’s development. The platform is shared with the upcoming Toyota Supra, the production version of which is scheduled to debut at the 2019 Detroit Auto Show. BMW, meanwhile, unveiled the Z4 at Pebble Beach for Monterey Car Week in California to much fanfare. While not a radical departure in the styling department from the old Z4, it’s still a fresh enough design to excite. Two models will be available in March 2019, but purists may be disappointed to hear that a manual gearbox option is unlikely and that a separate M high-performance version isn’t planned. The Z4 has those classic sports-car ingredients, including a straight-six engine (in top trim) up front, a soft top, and rear-wheel drive, but there are also plenty of twenty-first-century features like electronically controlled dampers and an electronically controlled differential. 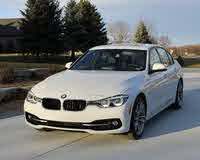 The entry-level version will be called the Z4 sDrive30i. It will feature a 2.0-liter turbocharged 4-cylinder engine good for 255 horsepower and 295 pound-feet of torque. Compared to the old base Z4, that’s a bump of 15 hp and 35 lb-ft. The only other choice is the Z4 M40i, which gets a 3.0-liter turbocharged straight six good for 382 hp and 369 lb-ft of torque. 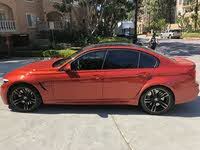 BMW claims that 0-60 miles per hour should take around 4.4 seconds with the M40i model, which is about on par with rivals like the Porsche Cayman. Top speed is electronically limited to 155 mph, as it is with most German cars. While many serious driving enthusiasts prefer a proper manual gearbox over today’s crop of semi-automatics, they’re in the minority when it comes to the people who actually buy sports cars new. That’s why BMW is unlikely to offer a manual for the Z4. Instead, it will get an 8-speed Steptronic Sport with paddle shifters. In the M40i, the gearbox should get different and more aggressive settings than the base model. The M40i also gets an Adaptive M Sport suspension, M Sport brakes, and M Sport differential; these are optional on the 4-cylinder model. The new Z4 is a soft-top affair, which is unusual in today’s world of hardtop convertibles, but the roof still raises and lowers at the push of a button. The interior features an optional Harman Kardon surround-sound stereo, head-up display (HUD), and dual-zone climate control. Another neat feature on the available M sports seats is an electro-pneumatic back that squeezes occupants while the car goes through a corner. On the safety front, there isn’t much to report, as this is still a two-seater sports car and new enough to not have been crash-tested yet, but active cruise control, lane-change warning, and lane-departure warning should be on the options list. The new Z4 is pretty exciting news. Rumors have been circulating about the car for years, and the team-up with Toyota on development of the platform bodes well for both BMW fans and the Toyota faithful. The two-seater convertible sports-car market is not a very big one these days, but the Z4 will nevertheless have competition in the form of Porsche’s two-seater offerings as well as the likes of the Chevrolet Corvette and Jaguar F-Type. 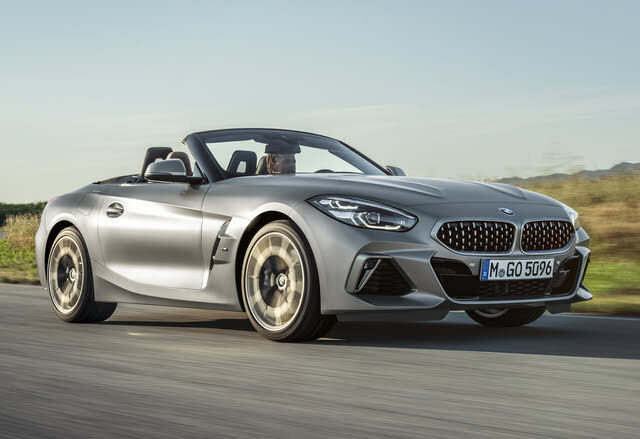 What's your take on the 2019 BMW Z4? Have you driven a 2019 BMW Z4? Enter your zip to see incentives for a new Z4 in your area. CarGurus has 1,498 nationwide Z4 listings starting at $3,500.